Book Of The Week Sun Gardens Cyanotypes by Anna Atkins Reviewed by Kevin Bond This lavishly illustrated book features the beautiful and scientifically important photographs by Anna Atkins, whose landmark work combined a passion for botany with remarkable creativity and technical skill. Sun Gardens. By Anna Atkins. 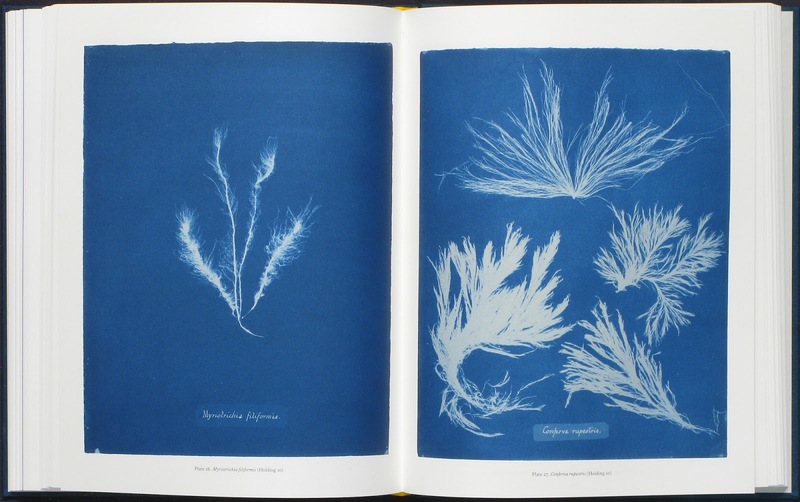 In 1843 Anna Atkins created the first book illustrated with photographs, Photographs of British Algae: Cyanotype Impressions. She has, however, only been briefly mentioned in the history of photography. 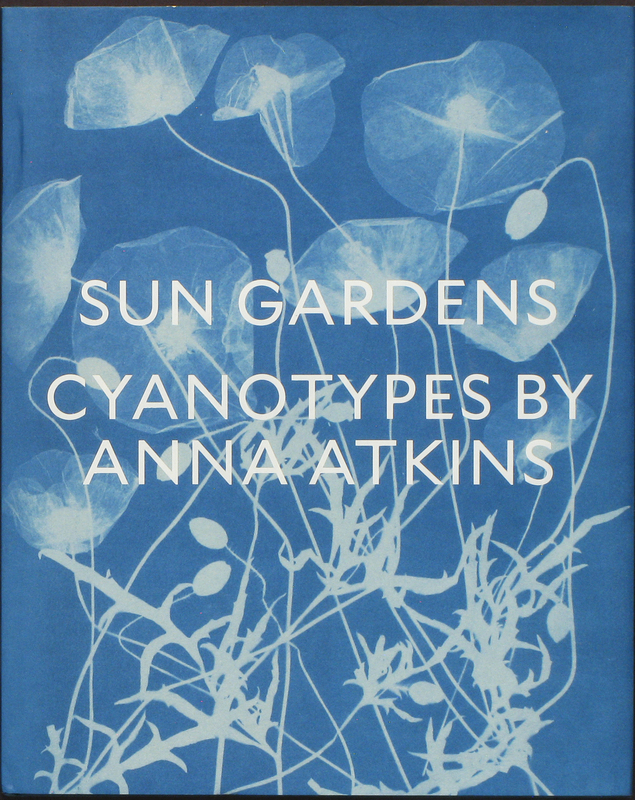 By acknowledging her years of extensive, exhausting, and ambitious research, Sun Gardens: Cyanotypes by Anna Atkins is the best representation to date of Atkins’ importance and influence. The title, Sun Gardens, is borrowed from the 1985 Aperture publication, Sun Gardens: Victorian Photograms, which served as the original catalyst for reestablishing Atkins’ importance in the history of photography. The new publication was produced by the New York Public Library, who are responsible for digitizing Atkins’ work and making it freely available online. Sun Gardens captures the intention behind Atkins’ handmade photograms — they were not made as works of art to be seen in a frame on the wall, but, rather, as pages of a book best held in your hands. 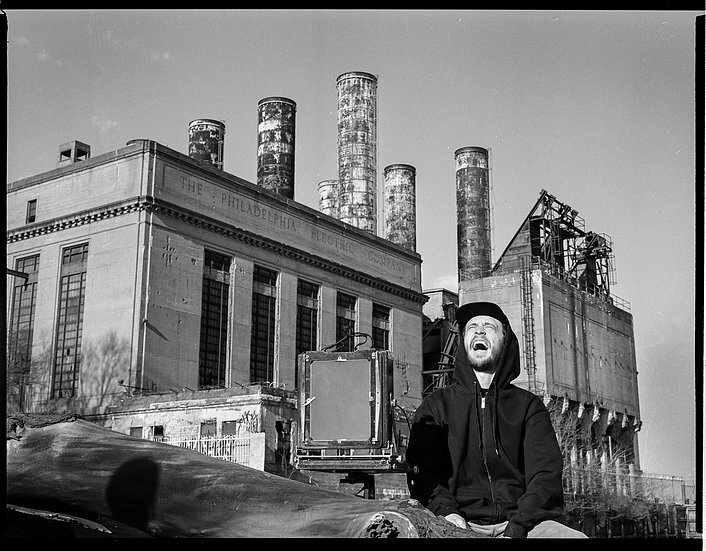 Produced and edited by Joshua Chuang, the senior curator of photography at the NYPL, Sun Gardens was published to accompany an exhibition of Atkins’ work there. Larry Schaaf, the author of the original Sun Gardens, wrote the bulk of the essays, which provide the context for understanding both Atkins’ work and how she fits into the history of photography. Mike Ware, a chemist, photographer, and distinguished authority on the history and conservation of historic photographic processes, also contributed an extremely valuable text about the cyanotype process. 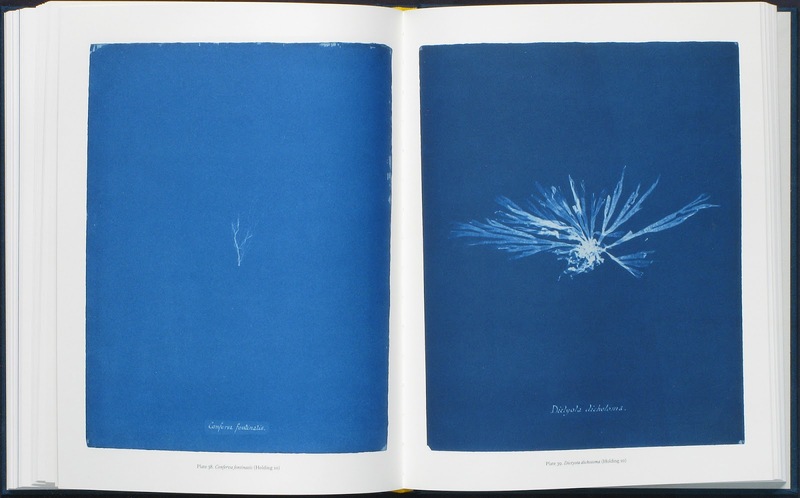 He sketches out the origins and following conservation of cyanotypes, and more specifically the pigment Prussian blue, the base of all true cyanotypes. 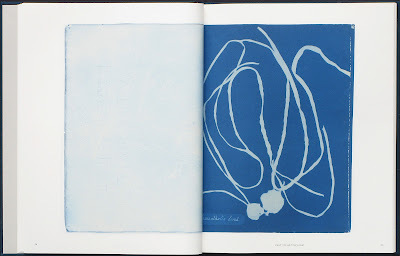 The inclusion of contemporary texts shines a new light on Atkins’ books and the cyanotype process in general, which is still commonly used by artists today. Sun Gardens is a large book, measuring at about 10 x 12½ inches with 176 pages, and its size complements its content. It is the perfect blend between an art book and a photography textbook. 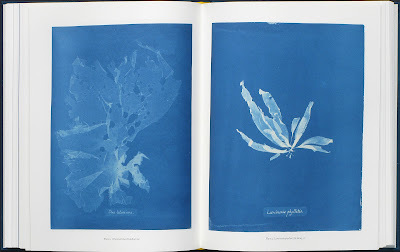 A selection of the photograms from her original book, Photographs of British Algae, is reproduced in their original size, allowing an experience similar to those who were able to handle the original book. The delicate cyanotypes are made from artful arrangements of feathers, ferns, and flowering plants, and are printed to capture the deep hues of each photogram, as well as the subtle backside of the previous plate. The images are accompanied by informative text about the botanical specimens, reproduced perfectly in Atkins’ beautiful cursive handwriting. After the photograms, Schaaf provides an account of Atkins’s life, accompanied by a number of historical images and documents. Beginning with her childhood, this essay provides an in-depth look at her passion for botany and how she paired it with her technical and creative skill set. The book proceeds to explain and illustrate all of the productions that Anna Atkins and her collaborator, Anne Dixon, made. This is a beautiful catalog of the first book illustrated with photography. It’s difficult to properly represent the importance of this work. Not only was Atkins one of the most innovative and influential female photographers of all time; she pioneered both the photobook and the cyanotype as we know them today. Kevin Bond is an Artist and Photographer based out of Santa Fe, New Mexico. 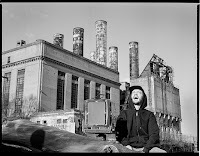 He holds a BFA in photography from University of the Arts. Bond is the current shipping manager at photo-eye Bookstore and a lab technician at Bostick & Sullivan. You can reach him at kbondphotography@gmail.com or to see more of his work at www.kbondphotography.com.